Performance Racing Industry Trade Show at the Indiana Convention Center. Speakers and attendees from across the United States, Canada, and United Kingdom gathered to discuss issues facing industry professionals today. Expert panelists debated topics on event management, track safety, legal and risk management, sanctioning bodies, museums, industry associations, track operations, and video and broadcasting. Speakers included influential leaders such as Joie Chitwood – Daytona International Speedway, Doug Boles – Indianapolis Motor Speedway, Randy LaJoie – The Joie of Seating, Tom Deery – World Racing Group, and Ralph Sheheen – Turn 3 Media. 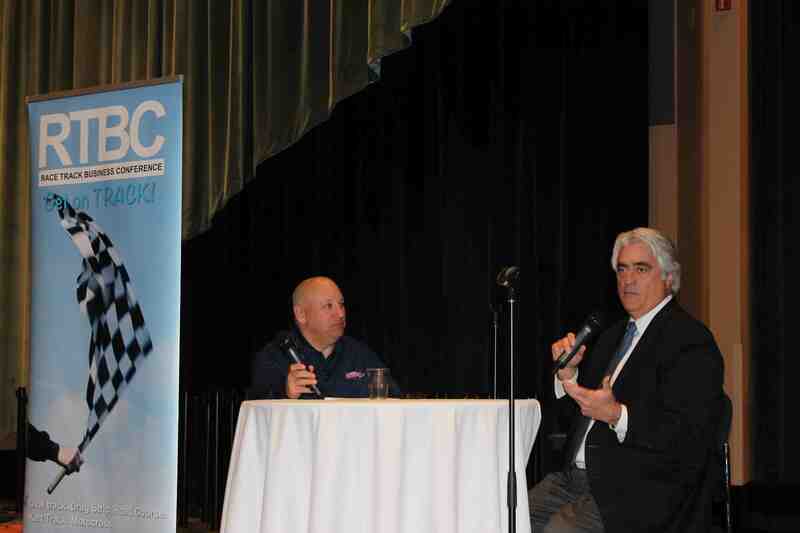 Luncheon insights were presented by Mark Miles – CEO – Hulman & Company. He highlighted the initiatives that IndyCar and the Brickyard are undertaking to improve the product on the track and spectator engagement at the races. “The inaugural event went well and we are pleased with large increase in participation at RTBC – 2013. The opportunity to gather at events like RTBC and the PRI Show is important to the development of race track operators.” said John Kilroy – Vice President – General Manager – of Performance Racing Industry. Indianapolis Motor Speedway received the “Outstanding Facility of the Year” award presented by National Speedway Directory and Track Guide. The Project 100 capital improvement plan will feature fan-focused experiences and entertainment options solidifying the IMS’s position as an iconic sports and entertainment venue. A donation was made to Victory Junction on behalf of the speakers and attendees to support their charitable efforts. There are preliminary plans for RTBC – 2014 to be held on Wednesday December 10, 2014. This will be just prior and in conjunction with the 2014 PRI Show, which runs from Thursday, December 11, to Saturday, December 13, 2014, in Indianapolis, Indiana. Additional information can be found at www.racetrackbusinessconference.com or by contacting Tim Frost at twfrost@speedwaysonline.com or 847/853-0294.